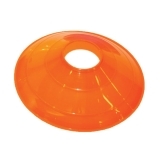 The Champion Sports Large Disc Cones are a versatile tool for just about every sport. 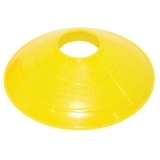 Use these 12" low profile cones to set up an obstacle or agility course, or to mark boundaries on a field. 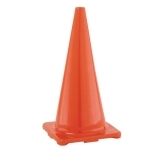 These cones are available in orange or yellow. 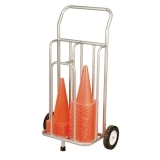 Effortlessly move and store your cones with the Champion Sports Cone Storage Cart. 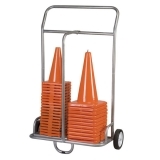 Made of heavy gauge, powder coated steel tubing, this cart transports up to one hundred and thirty of our TC12 cones. 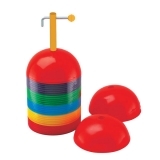 The cart features 8" easy roll wheels, making storage and transport a breeze. 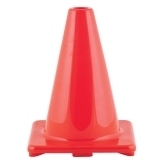 Create an obstacle course, mark boundaries, or practice agility with the Champion Sports Hi-Visibility Flexible Vinyl Cone. 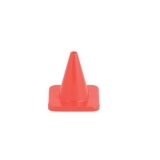 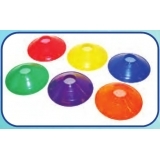 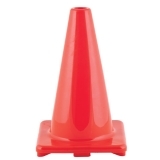 Made of durable, flexible vinyl, these cones feature a weighted bottom for extra stability. 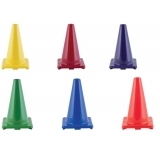 These cones will withstand years of play!